…to your own home on the range! We are darn proud of our Texas heritage and take great pride in doing things right the first time. We are sure you will LOVE what we make. If for whatever reason you are not completely 100% satisfied with our jerky, you may return the unused portion to us for a refund. 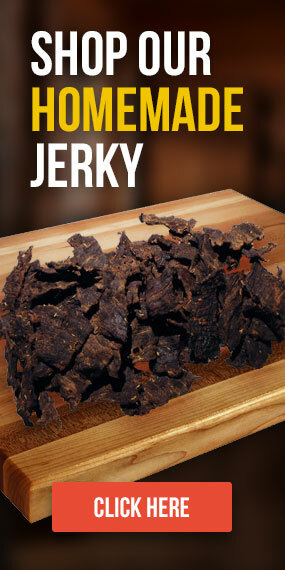 We only ask that if you are not sure you like jerky in the first place to only purchase a small portion the first time around simply to limit waste. We are also happy to provide a sample of another flavor of your choice with the purchase of one or more pounds of your favorite flavor. Just include a note to us during checkout and we’ll be happy to oblige!